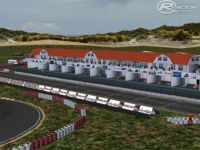 This is a fiction scratch build rFactor kart track. At Circuit Park Zandvoort behind the dunes on the North Sea have been historic Formula 1 Grands Prix's in the past. Zandvoort, however, has no rich kart history. With the new Dutch driver Max Verstappen, F1 and karting is becoming more popular in the Netherlands. That's why Zandvoort has build a new kart track in the same style as Circuit Park Zandvoort. It is a challenging kart track with five different layout's, ranging from a 463 meters track for learning the basics of outdoor karting to a full blown 1388 meters track with no less than 20 corners. The rFactor version also comes in five different layouts. This track isn't exactly flat and not easy to drive. 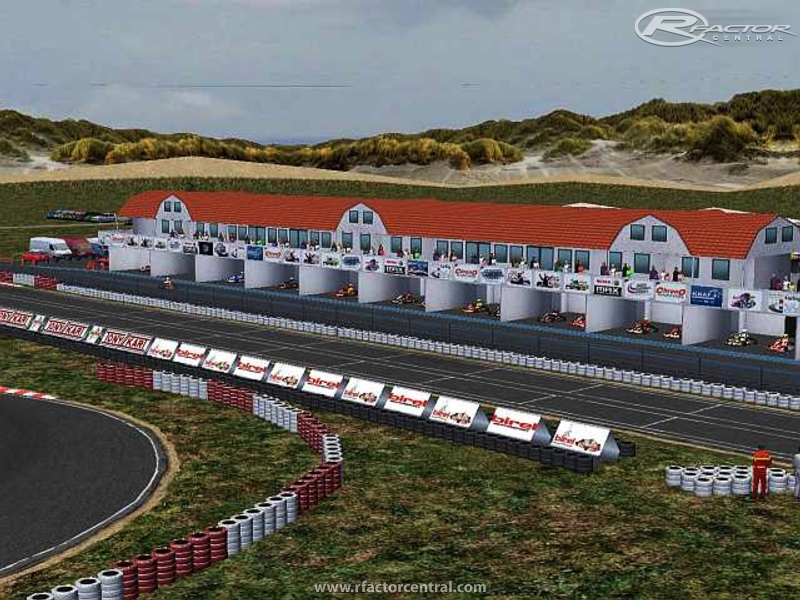 There are currently no setups for Kart Circuit Zandvoort. Add a Setup.